sightseeing in pune, pune sightseeing, fort in pune, monuments in pune, historical palaces in pune, temples in pune, mosque in pune, museums in pune, gardens in pune, lakes in pune. 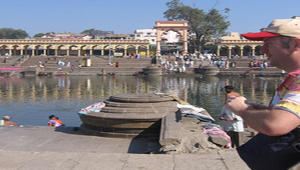 Alandi is a small city, situated in the Pune district of Maharashtra. It lies at a distance of approximately 25 km from the Pune city. 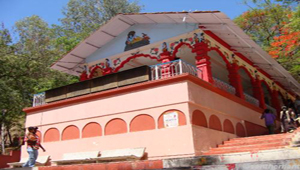 The town is mainly famous for being home to the Samadhi of Sant Dnyaneshwar. Dnyaneshwar was a very popular saint of Maharashtra. 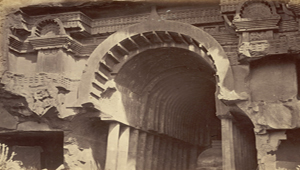 Bhaja Caves are one of the popular Buddhist caves in India, which are situated in the pune District of Maharashtra. The caves, lying 60 km from Pune city, are believed to date back to as far back as the 2nd century, when the Theravada phase of Buddhism was still in its earliest stages. Bhimashankar Temple is situated in Maharashtra and claims the distinction of being one of the twelve Jyotirlingas in India. Lying at a distance of approximately 128 km from the Pune city, this temple is dedicated to Lord Shiva, one of the Hindu Trinity of Gods. Janjira Fort is situated in the Murud town of Maharashtra. 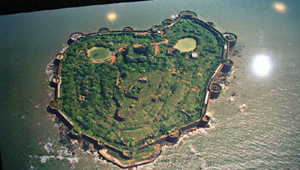 Infact, the Island Fort serves as one of the major attractions of the town. Murud served as the erstwhile capital of the Siddi rulers of Janjira in the earlier times. Today, Janjira is counted amongst the few sea forts of India and lies 2 km inside the town. 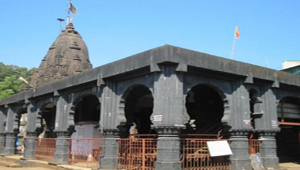 Jejuri Temple is located in the Jejuri town, which lies to the southeast of the Pune city of Maharashtra. 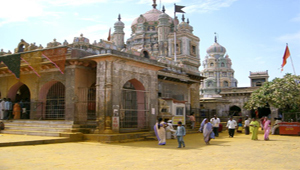 The town is known for being the venue of one of the revered temples in the state, known as the Khandobachi Jejuri. The temple is dedicated to Khandoba, also known as Mhalsakant or Malhari Martand. 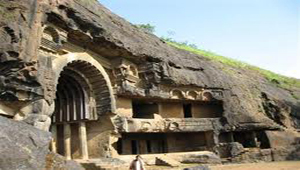 Karla Caves are situated in the pune District of Maharashtra, quite near to the Bhaja Caves. 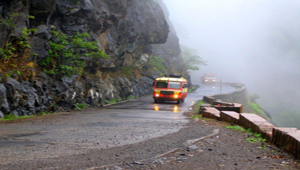 They fall on the Pune-Mumbai Road and are approximately 40 km from the heart of Pune. The caves were carved somewhere around the 2nd century BC, the time when Buddhist was at its peak in India. Malshej Ghat is one of the most popular weekend getaways, situated amidst the Sahyadri Hills of India. Since it falls on the outskirts of the Pune city, it is visited by the locals of the city as well as the tourists who come here for spending their holidays. Raigad Fort is a magnificent hill fortress, situated in the Raigad district of Maharashtra. It lies approximately 125 km away from Pune and serves as one of the major excursion of the city. 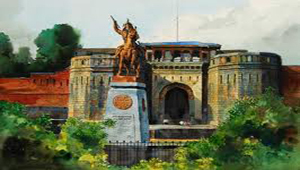 The fort once served as the capital of Chhatrapati Shivaji, the Great Maratha king, in the 1674. 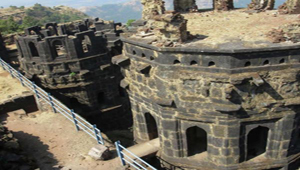 Shivneri Fort is one of the most magnificent as well as historically rich forts of India. It is situated at a distance of approximately 90 km from the Pune city of Maharashtra. The fort dates back to the time period when Shivaji was not even born yet. 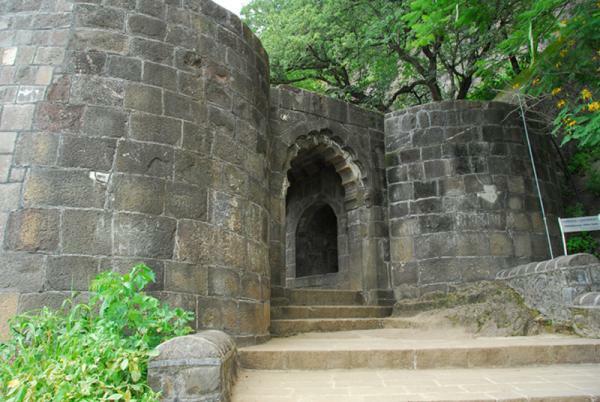 Shivneri Fort was built under the aegis of Sahaji. 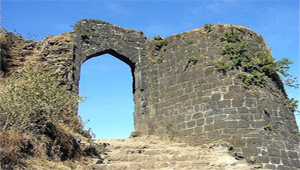 Adding to the attraction of the Pune city is the Sinhagad Fort, which lies in the vicinity of the city. The fort stands perched on a hill, at an altitude of approximately 700 m above the landscape that surrounds it. The height at which the fort stands has resulted in its being very popular. This impressive palace was constructed by the Peshwas in the year 1736. The imposing brass studded gates and lotus pools are the only major attractions left in this palace as it was destroyed by a huge fire in the year 1827. This palace is counted among the major tourist attractions in Pune and it is now recognized as symbol of Pune culture. Don't miss out the 'Light & Sound Show' which is held here every evening. Empress Garden of Pune is situated near the Pune Race Course, adjacent to the Pune-Sholapur Road. A huge garden in terms of area, it spreads over approximately 59 acres. The garden is more or less, a botanical park that boasts of being home to a number of varieties of fruit bearing trees. 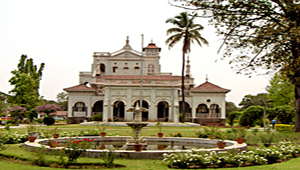 Aga Khan Palace is one of the most magnificent monuments of Pune, situated in the Yerawada area. The palace dates back to the year 1892 and was constructed under the patronage of Sultan Mohammed Shah, Aga Khan III. There was a noble cause behind its construction. 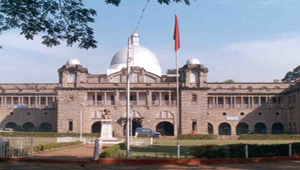 Museum Mahatma Phule Museum of Pune dates back to the year 1890, when it was established by the name of 'Lord Ray Museum'. It is located in the Shivaji Nagar of the city, on the Ghole Road. In the 19th century, India was gripped by a museum culture. 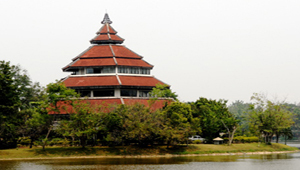 Raja Dinkar Kelkar Museum is one of the finest museums in the Pune city. 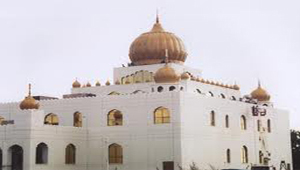 It is situated in Shukawar Peth, on the Bajirao Road. The museum is now under the ownership and control of the Department of Archaeology, Government of Maharashtra. Katraj Snake Park is one of the popular conservation parks of India, situated on the Pune-Satara Highway. 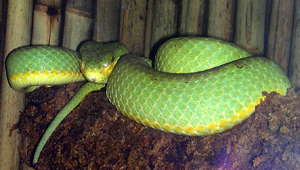 It is known for housing a significant population of snakes, birds, turtles, reptiles, etc. Situated at a distance of approximately 8 km from the Pune city of Maharashtra, the park was established in the 1986.